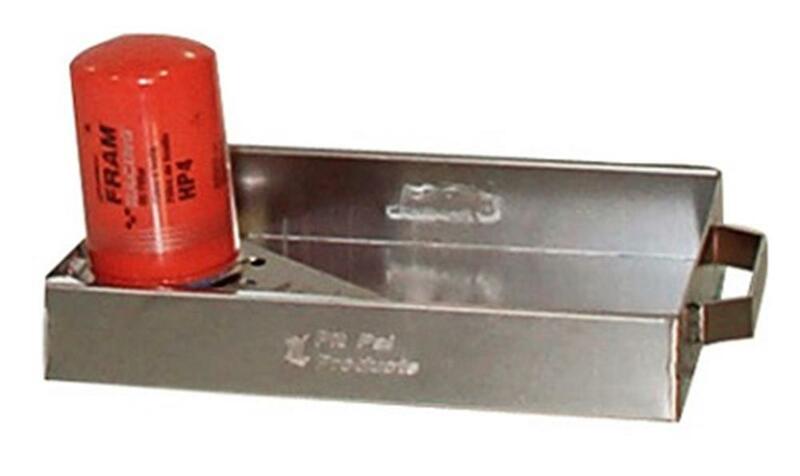 The Pit Pal 129O Oil Change Drain Tray makes it simple with a place to drain your oil filter and includes a pour spout. Tray has an easy carry handle on the lightweight aluminum frame. Oil tray has a 6 quart capacity. Made in the USA. Measures 15" x 2-1/2" x 15"